Biblical Courtship: How Should It Begin? The first step in the process of moving toward marriage through the initiation of or participation in a godly relationship is to evaluate yourself spiritually. Remember, one of our guiding principles here is that we are trying to be (or prepare to be) a godly spouse even as we try to find a godly spouse. All singles who profess Christ and aspire to marriage — even as a possibility — have this responsibility (even outside this area of life, we should all be trying to grow in Christ). Are you a Christian? If you’re already sure of that basic answer, are you a growing and mature Christian? Are you generally humble and teachable, and do you respect authority? As a practical matter, are you responsible and holy in the way you possess your own spirit, mind and body? 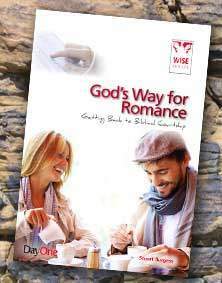 As you move into the stage of life in which you begin to seriously consider marriage generally or a particular relationship, your first step should be to soberly reflect, before God, on your own spiritual walk and maturity in Christ. If you aspire to be a godly husband or wife someday, what have you done and what are you doing to prepare for that ministry? Second, are you at a place in your life at which you are ready and able to marry? As I’ve written on this site before, “practice” and “recreation” are not good reasons to court (See Biblical Courtship: What is it?). 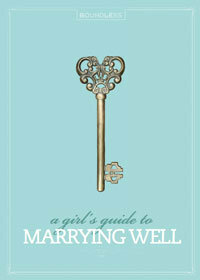 Courtship is for the purpose of finding a marriage partner. In my view, if you can’t happily picture yourself married within a year, you’re not in a position to court. 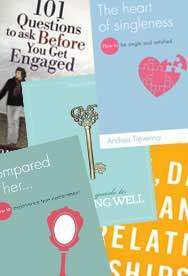 For you busy singles with time for only one mildly irritating column per day, the summary is this: Pick a potential dating partner with an eye toward godly manhood and womanhood — with an eye toward who would make a good husband or wife, defined by those characteristics God esteems in His Word, not the ones Hollywood likes. See what an unsatisfying bumper-sticker treatment that was? You might want to read the full piece. Among the different roles assigned to men and women in the Bible, men are assigned the role of leadership. This is true in the church and in the family. This is not a signal of male superiority or of the greater importance of men. It is simply God’s design and assignment of equally valuable roles among spiritually equal beings. Men initiate, women respond. Briefly, biblical support for this position is found, among other passages, in the creation order in Genesis 2, in 1 Corinthians 11: 7-9, and Ephesians 5. True, these passages refer to marriage, but it is wise and right to set patterns that will serve you well in marriage, especially if one accepts the premise that the purpose of dating is to find a marriage partner. First, the man should initiate. Whether this means approaching the woman herself or her father or someone filling that role instead of her father, it should be the guy that starts things off. As I mentioned, he should not do this until he is “ready” to marry. If you’re not ready to marry, you’re not ready to date. As a quick aside, if you are a single man and you would not describe yourself as ready to be married within a year, think about why that is. I mention this for two reasons: 1) Scripture seems not just to encourage, but to assume that part of the growth into biblical manhood is to seek marriage, so this is a biblical goal; and 2) easily the biggest complaint that I and others who advocate this approach get from godly Christian women is that men don’t initiate. As I said, in the Bible, marriage and family are considered a natural stage of progression toward manhood. The command in Genesis to be fruitful and multiply is a general command. When Paul extols singleness in 1 Corinthians 7 (which is an often-misused passage in this area of life), it is singleness for the purpose of enhanced ministry (discipleship, teaching, missionary work). If you are floating around staying single because you enjoy social flexibility or having time to yourself or hanging out with the guys or because you have worldly ideas about the perfect woman or how to approach marriage, consider: Are you approaching manhood and marriage biblically? Every male who is out of college should have at least thought this through. Once he determines he is ready to be married generally, and once he has found a particular woman he is interested in pursuing, our single man’s next step is to “put some feelers out.” He should talk to some of her friends, see if she’s been asking about him, have one or two subtly suggestive conversations with her to see if she gives anything away…. NO! This is not initiation. Initiation is not manipulating the situation so that while you’re asking her out on a date there’s no actual risk of rejection or embarrassment. Initiation means initiation. It means that you as the man take the first step, risk and all. ‘Wait a minute. Are you saying that all the risk is mine?’ Yes I am. ‘Doesn’t that mean that she can just tell me no and leave me twisting in the wind?’ Yes it does. Welcome to leadership. Welcome to trusting God. Welcome to being a man. Your cards belong on the table. Your intentions and your feelings, to the extent that you can discern them and it is appropriate for you to share them, should be clear. Part of your role even at this early stage is to protect the woman of your interest from unnecessary risk and vulnerability by providing a safe context in which she can respond. As it is the man’s God-given role to initiate, so it is the woman’s God-given role to respond. Her response may be positive or negative, it may occur through her father, her family or words directly to her potential suitor. But whatever the circumstances, her role is as responder, not initiator. As single men need to learn how to lead (whether they like it or not), single women need to learn what it is to let a man assume spiritual leadership in the relationship — and to respond to that leadership. Ultimately, this means learning to trust God’s goodness and sovereignty. Clearly, this is not the popular secular view of the “liberated” woman’s role. Hollywood’s perfect woman runs with the boys, knows what she wants and is aggressive en route to getting it — especially romantically. Hilariously, Hollywood even writes these characters into period pieces, as if the normal woman at all levels of society in the 18th and 19th centuries was a post-feminist, post-sexual-revolution, “there-ain’t-no-difference-between-me-and-you” libertine. But I digress. Needless to say, that is not the biblical picture of the responder. So what does this picture look like? Does this mean that a woman should never ask a man out on a first date? I think it does. Does this mean that a woman shouldn’t give the guy the assurance he needs by “leaking” news of her interest to him by way of his friends? Again, I think so. “Wait,” you say. “What if I’m really interested in a man and he just isn’t getting it and I need to move him along?” Don’t. When men drop the ball on leadership (as we often do), it presents a temptation for the woman involved to pick up the reins and lead for him. This is no less true within marriage. Picking up the reins sets a terrible pattern that only confuses the roles in the relationship and encourages both of you to take the role of the other to the detriment of the relationship and ultimately the marriage. The Lord is sovereign. If it doesn’t work out with a particular guy because he didn’t step up, the Lord will cause something else to work out. He knows what is best for each of us, and all of us must learn to trust Him — especially about things that are really important to us. Finally, let me advocate the initiating of a courtship under some accountability structure. I mentioned the woman’s father or family because until the second half of the 20th century, that’s largely how it was done. The idea was to protect the woman from potential hurt or awkwardness, to aid her in evaluating a man whom she might not have known well at the time of his initiation, and to help ensure that the relationship was carried out honorably. Certainly, this norm spread beyond the believing community and became more of a cultural phenomenon, but it still gels well with attempts to carry out a godly courtship — especially among those believers who hold a complementarian view of biblical gender roles. In this day and age, however, the hard fact is that many single Christian women have fathers who are not involved in their lives at all, are not believers, or are indifferent to or unaware of the notion of protecting and shepherding their daughters and potential suitors in a courtship context. Where that is the case, a natural alternative might be some married individual or couple within the woman’s (or man’s) church community. Ladies, this doesn’t mean that you have to cut your would-be suitor off mid-sentence, take off running and shout your father’s (or whomever’s) name and phone number over your shoulder as you go. It may mean that you explain to him that before you are willing to spend some more serious time with him, he needs to meet person or couple X and discuss it with them or with the two of you. If you don’t desire that sort of protection or aid, at least insist that the two of you begin to meet with others who know one or both of you well so that there will be consistent accountability and an outside perspective on how the courtship is going. Humble openness to accountability is essential to a godly courtship. This article is Part 2 of a series on Biblical Courtship. Read Part 1: Biblical Courtship: What is it? The next article in the series is Part 3: Biblical Courtship: Navigating the Early Stages. « Biblical Courtship: What Is It?